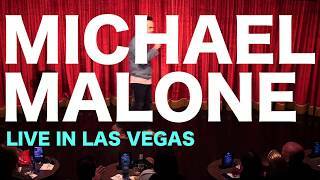 Comedian Michael Malone is a larger than life performer who delivers heavy-hitting punchlines with the weight of a veteran and the heat reserved only for the country's hottest up and coming comics. Best known for his Top-10 selling comedy album debut on iTunes and his "rubber face," Malone is a force to reckon with. His blistering humor and irreverent views on life, love and personal tragedy have earned him recognitions such as Campus Activities Magazine's Top Comedy Performer of 2013 and "Hot Comic to Watch in 2013," and winner of the prestigious 33rd Annual Seattle International Comedy Competition in 2012.